GS3 3-15x50 is rated 5.0 out of 5 by 5. Rated 5 out of 5 by LightsOut from Excellent adjustments to sight-in riffle Bought this scope not sure how good it would be. I thought it was a bit heavy but looked like it was built like a tank (tough). I have had Bushnell, Vortex, Redfield and Leupold VXR, hands down, this scope is awesome. I sighted in my riffle and it took 2 bullets; I shot 4 inches high and 1 inch left, I counted the clicks on the scope, 16 clicks low and 4 clicks right... where did the 2nd bullet hit?, right in the BULLSEYE. I have never had a scope do that, I've never had one that was exactly 1/4 inch per click, it made my friend foam at the mouth with his $1200 Leupold, lol. Only thing I wish for is lens caps which I think should be included in the price. I definitely would buy a Steiner again. Rated 5 out of 5 by lmr4455 from 3-12 x 56 Bought this scope & mounted it on Winchester SX-AR great scope & great price!! This is my third Steiner scope that I own. Rated 5 out of 5 by Big Jim from The GS3 is an outstanding scope. Today, I bought my second GS3 Scope. My first, I bought last year prior to deer season and put in on my "working gun" a 7 Mag. I have bounced the gun around in a jeep, carried it through rain storms, fell over in the stand the other day and it is still on. The view is clear and crisp. I have had a lot of scopes over the years but this scope is the best of the best. Rated 5 out of 5 by Doubleagle64 from Great Optics I received this scope on a raffle rifle. I knew very little about scopes but thought it should be very good. I was wrong. It is excellent! After correcting mounting errors I found it easy to zero and the optical quality is outstanding. I can definitely recommend it. Rated 5 out of 5 by Hobie from Love the simplicity of this scope ,very clear . Best scope to date I've ever purchased .Thank you for producing a great product ! What height rings would I need mounting on a rail? Any recommendations? You'll want High rings. I'd recommend Burris Signature rings. Do the scopes come in silver? &nbsp;I have a stainless model 70 Winchester. What clothing brand is the hunter in the picture wearing? And the pack on his back? Could it happen that GS3 3-15x50 with S1 reticle might not withstand a recoil mounted on Sauer 202 with .308 caliber. It doesn&rsquo;t hold zero. It was purchased in Canada, and there&rsquo;s no &ldquo;Made in Germany&rdquo; logo on the tube. Is it some cheaper version? Why did Steiner fail to manufacture this scope w/o parallax adjustment? Doesn't parallax become more of an issue at magnifications greater than 12x? Few, if any manufacturers build a 15x or greater scope w/o parallax adjustment. 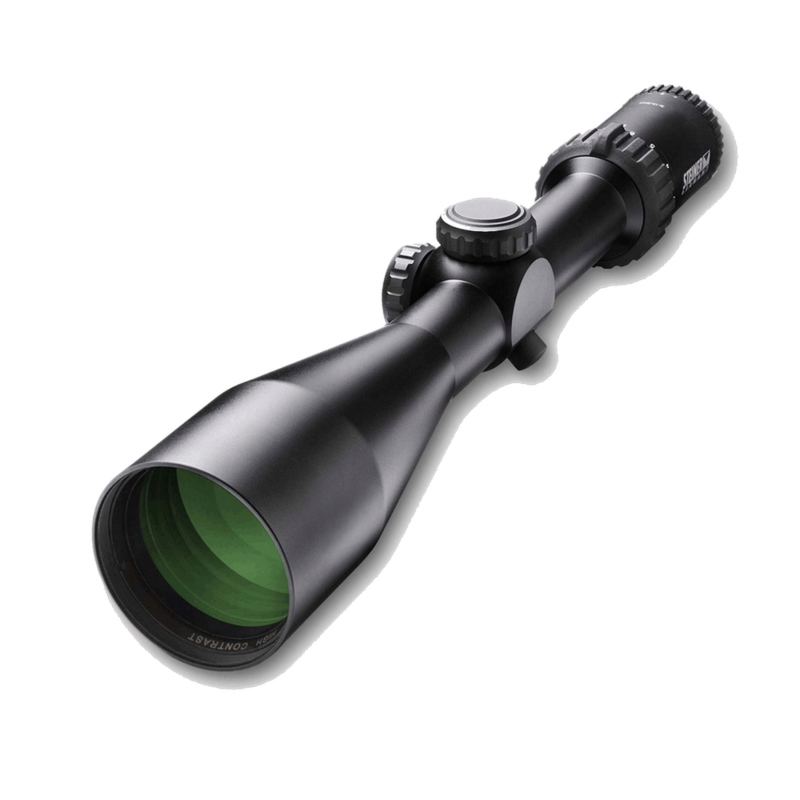 The GS3 3-15x was intended for use as a big-game scope, not a varminter, making a parallax adjustment unnecessary. A parallax adjustment is critical for small targets like varmints at long range, but not as much for big-game with large vital zones. I'm looking to put a gs3 3-15x50 on my steyr ssg69, I have the steyr picatinny rail, I was wondering what height of rings I should get? Can the 3-15x50 GS3 mount low on a Sauer 101 Classic? I know this scope has less tube for mounting up front, and the 101 takes a long action base. I'm looking to keep the mounting fairly low and have proper clearance and eye relief. There's really no way to be sure without knowing the measurement of the barrel taper to the top of the base at the point where the objective bell is widest, with relation to where it will be mounted on the receiver. For 50mm bells, we typically recommend High rings as a starting point. It is rear focal plane.